No monthly amount is too small. Breast cancer knows no season and is the most common cancer among women in California, regardless of race/ethnicity which is why your monthly gift means so much! 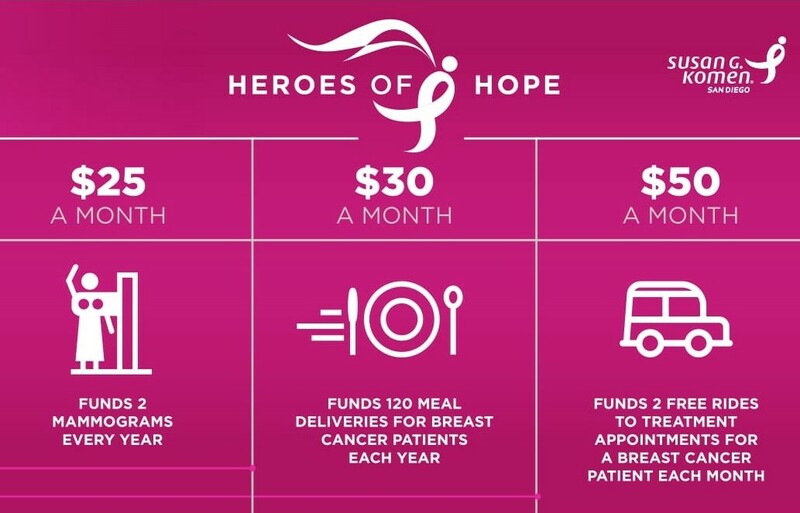 Funds 2 free rides to treatment appointments for a breast cancer patient each month. Funds 120 meal deliveries for breast cancer patients each year. Funds 2 mammograms every year. Helps us to achieve our mission to save lives and end breast cancer. Yes, I'd like to receive text message updates.